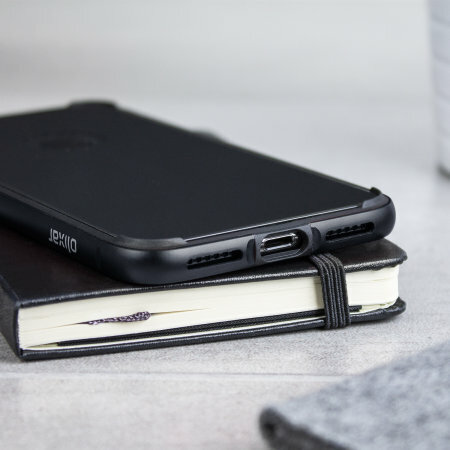 Olixar Helix blends the latest technologies with premium designs to create a truly slim-line iPhone X case. 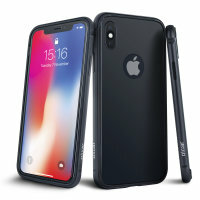 The package consists of 4 protective accessories, which can be used separately, or combined together for a 360° protection for your iPhone X. 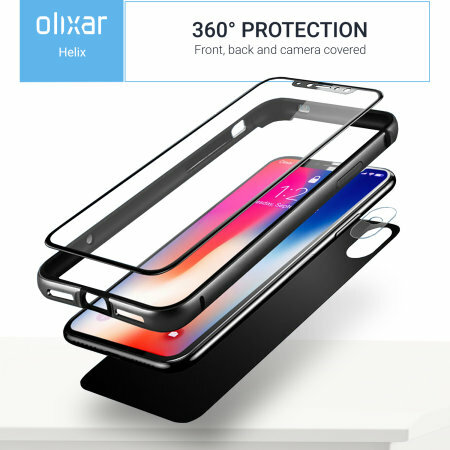 Meet the Olixar Helix - an ultimate 360 degree protection kit that combines style with technology, in order to deliver a modern approach to a mobile phone protection. 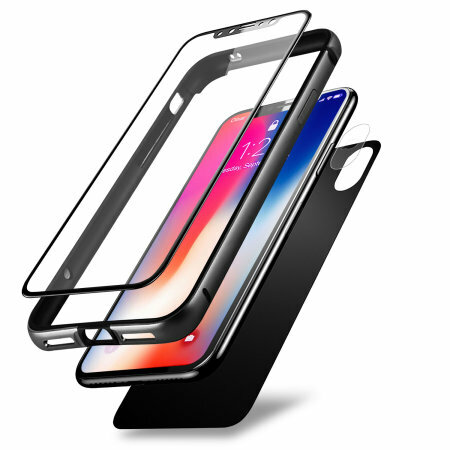 The Helix aluminium case, as well as tempered glass protectors included have been crafted from quality materials, which ensure a truly slim-line and light-weight design that perfectly fits, maintains and compliments the natural curves of your iPhone X. 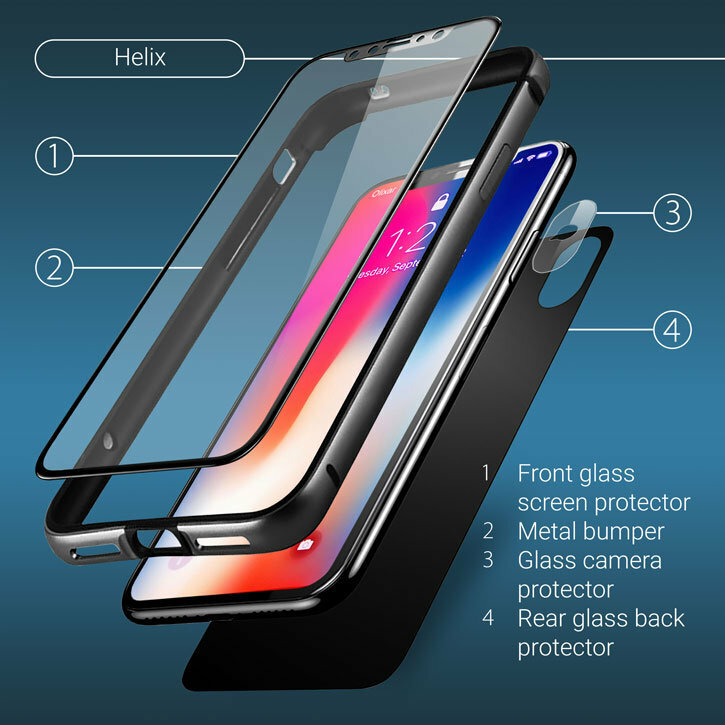 The Helix features 4 components that come together to form this state-of the art protection system: aluminium metal bumper, full cover screen protector, glass back protector and a nano-thin tempered glass camera protector. 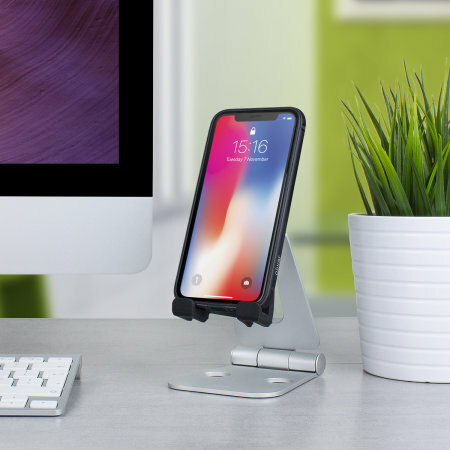 All of the protective parts within the bundle can be used separately or combined together, which ensures that you get the protection you want! 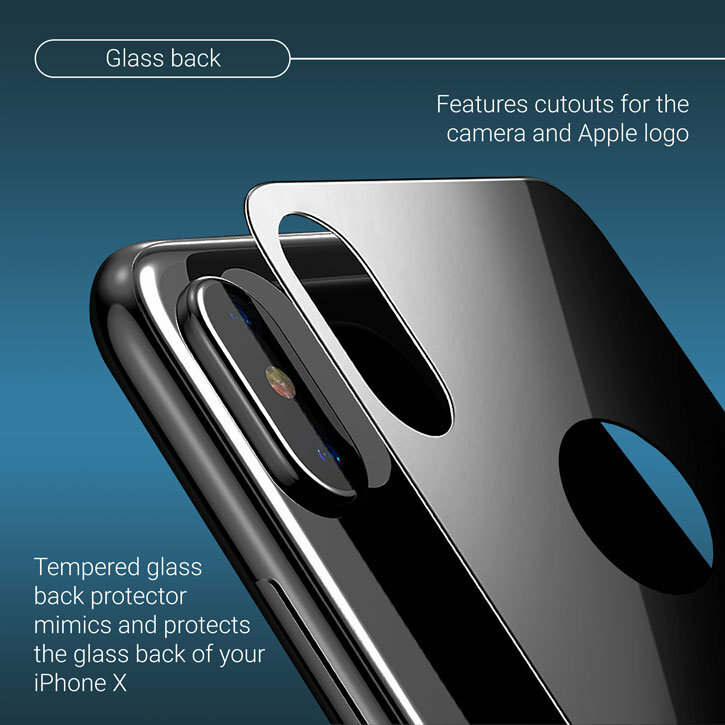 This ingenious iPhone X screen protection solution involves a minimal-thickness tempered glass protector that covers the complete surface of the iPhone X's curved display. 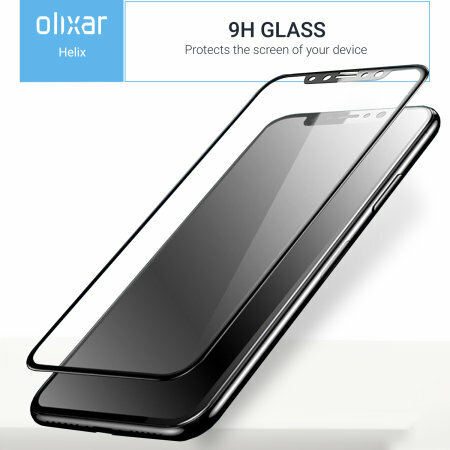 It is made from a reinforced 9H tempered glass that maintains perfect image clarity while protecting your phone's entire screen from shocks, scrapes and scratches. 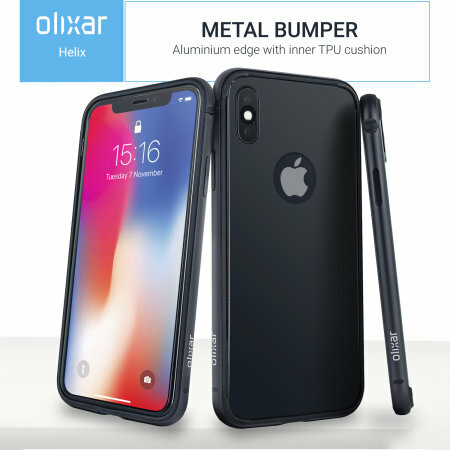 Olixar believes that quality materials result in excellent products, which is why the bumper case has been crafted from an aircraft-grade aluminium that offer substantial protection and great looks at all times. 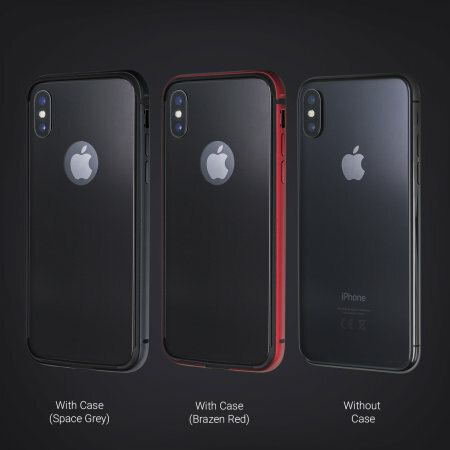 This bumper features anti-shock protection that maximises the safety of the iPhone X, whilst the complimenting shock absorbing TPU layer cushions the phone and protects the finish when fitting and removing. 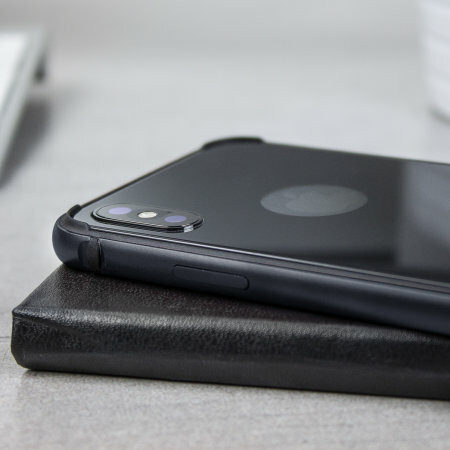 In keeping with rest of the Helix system, the focus is on minimalism, protection and modern looks. The Space Grey panel included slips seamlessly over the rear of your phone with a cutout left open for the camera and a transparent circle for the Apple logo. 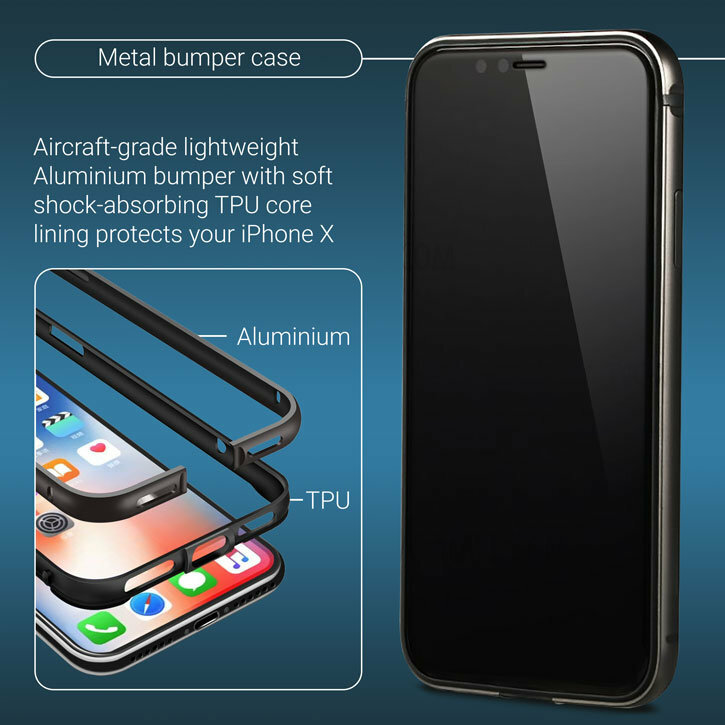 This tempered glass panel provides a tough and expendable protective barrier, yet it keeps the natural feel and vibe of your iPhone X design. 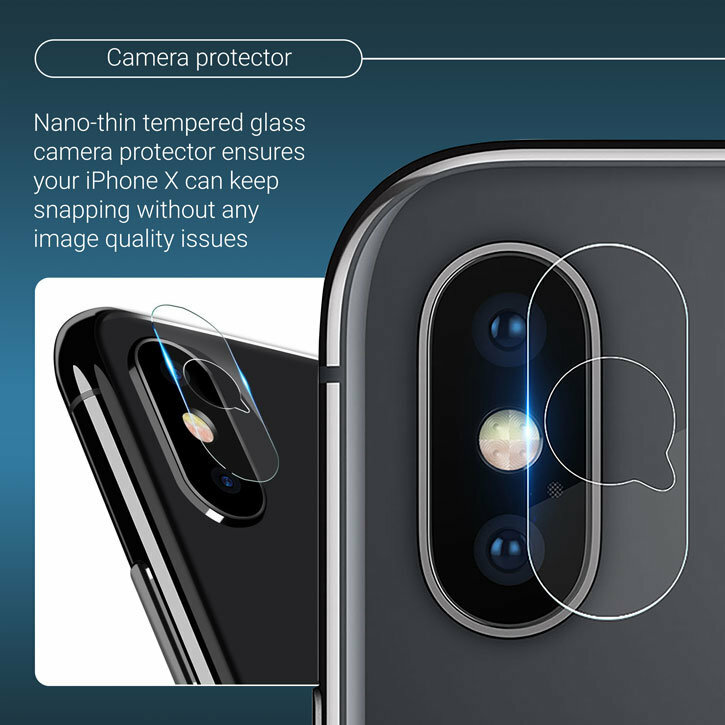 Over the time you'll own it, your iPhone X's camera will have to stand up to everything from every day wear and tear to drops and impacts. Made from a a wafer-thin piece of tempered glass, and featuring apertures for your flash and sensor, it has been designed so that it does not interfere with your photography and video-recording needs. 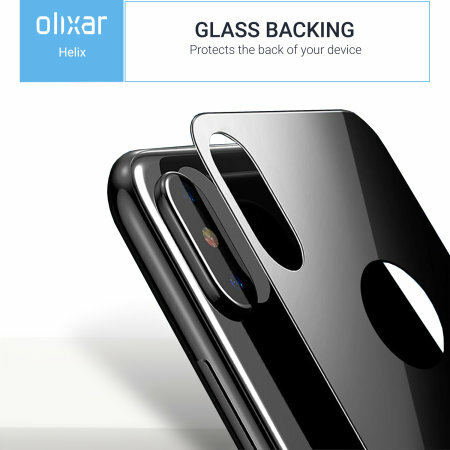 Designed specifically for the iPhone X, the Olixar Helix 360 Complete Protection System offers a perfect protective fit for the device. 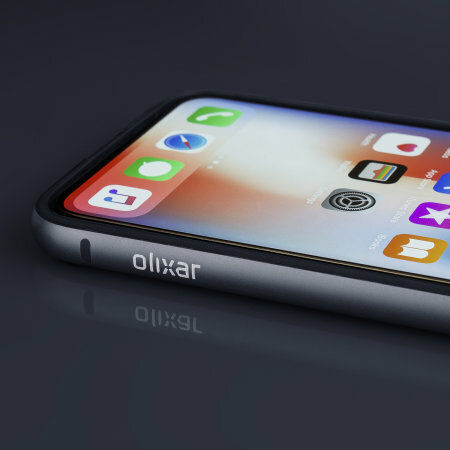 Every aspect has been considered, tested and evaluated with the iPhone X in mind and how it will serve you day to day.